As well as leading the pack with garden machinery and lawnmowers sales in Northern Ireland we are also a well established plant hire company with a range of tools and equipment for hire in Newry. Our vast range of site plant hire and equipment for rent means we can provide our many customers with a complete service. We have a range of telehandlers, mini diggers, sit on rollers and dumpers for hire in Newry and Warrenpoint. We serve both the DIY and professional sectors and we provide a full tutorial on all our machinery for hire. We can deliver all of our plant for hire including mini diggers, dumpers and telescopic handlers to anywhere in the Newry area for a small fee. Call us today for a quote. As well as a wide and varied selection of plant machinery for hire we also have a range of tools and equipment for hire to suit all your needs. 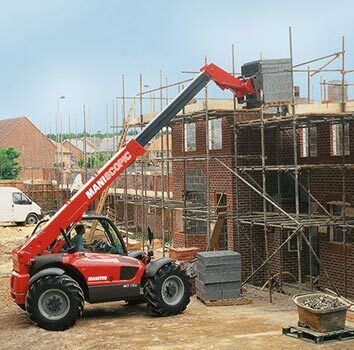 We have a range of kango hammers, chipping hammers and hydraulic breakers for hire. We rent out sds drills and core drills in Newry and Warrenpoint. 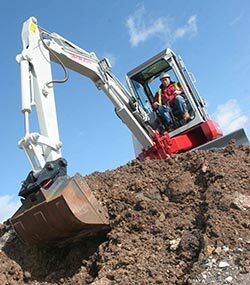 Our machinery is all professional grade equipment and is suitable for use on building sites. Our construction equipment for hire include a fleet of generators, vibrating wacker plates and concrete pokers. We also have electric and petrol cement mixers for hire as well as large diesel cement mixers for rent in Newry. If you have a clean up needing done we rent the tool for you. We have a fleet of industrial power washers for hire in Newry and Warrenpoint, as well as carpet cleaners and industrial vacuums for hire. No matter what the job is you are sure to find the right tool for you at AM Rentals. Our range of industrial power tools and site equipment doesn't stop with kango hammers and breakers. We have a fleet of concrete power saws, wall chasers and road saws for all your cutting needs. All our saws for hire in Newry are well priced with flexible hire terms. At AM Rentals we hire the right tool for all your jobs including gardening equipment. We have a fleet of lawnmowers for hire at great prices. We also hire other garden machinery in Newry including petrol hedge trimmers, long reach hedge trimmers, scarifiers and brush cutters. All our petrol powered garden machines for hire are fully serviced and ready to go. Our friendly counter staff will also show you how to safely and correctly operate the machine and give advice if it is needed. As well as DIY tools and plant machinery for hire we also rent out garden tools. We have lawnmowers for hire in Newry, ride on mowers for rent, strimmers and brush cutters for hire, hedge trimmers and pole hedge trimmers for hire, leaf blowers for rent in Newry and moss rakers and scarifiers to rent. 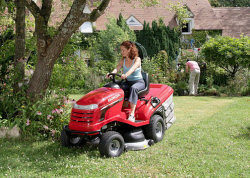 All our garden machinery for hire is keenly priced and well maintained. We give a full demonstration on how to operate our machinery for hire and can even deliver the tools out to you. Chainsaws for sale Northern Ireland As well as selling lawn mowers we have a wide range of chainsaws for sale from our store in Newry, Northern Ireland. We sell professional quality chainsaws to suit professional users as well as chain saws to suit home use. We have Stihl chain saws, Husqvarna chainsaws and Tanaka chainsaws for sale, all at unbeatable prices for customers all over Northern Ireland. Hedge Trimmers for sale Northern Ireland We have a great variety of hedge trimmers for sale from our Northern Ireland store, all at great prices. Check out our website to see our great prices and visit us in our store in Newry to try out any of our hedge trimmers. We stock both Stihl hedge trimmers and Tanaka hedge trimmers at unbeatable prices. Great deals are available to customers all over Northern Ireland and Ireland. Concrete Saws for sale We stock both the Stihl TS410 con saw and the Husqvarna K760 concrete saw. We also keep in stock a variety of concrete diamond tip cutting blades, as well as abrasive cutting discs for cutting metal. Our prices on the Stihl TS410 and Husqvarna K760 are unbeatable. Power washers for sale We specialise in petrol power washers with Honda and Briggs and Stratton engines. We do not supply the poor quality washers that don't last. All our power washers for sale in Northern Ireland are great quality washers at great prices. We also supply Stihl electric pressure washers for sale. Leaf blowers for sale Northern Ireland Stihl leaf blowers, Tanaka blowers and Dolmar leaf blowers are available from our store in Newry Northern Ireland. We can deliver any of our leaf blowers for sale to any part of Northern Ireland using a next day delivery service. Brush cutters and Strimmers for sale Northern Ireland We have Stihl, Honda, Tanaka and Kawasaki brush cutters for sale from our Northern Ireland store. Our great prices are not only available online - they are also available in store. So call in today to grab a bargain on Stihl and Tanaka brush cutters.